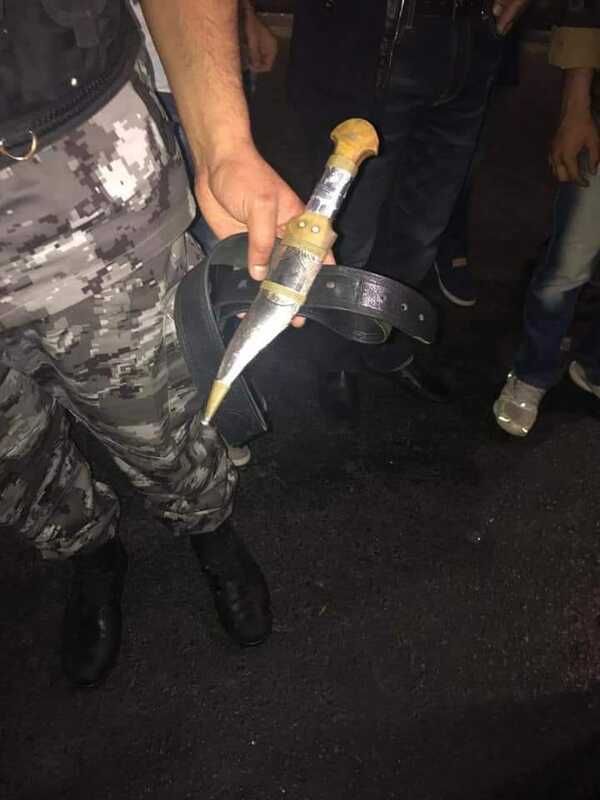 A policeman was badly injured during the Fourth Circle protests in Amman on Wednesday night, after he was stabbed by a furious protester, a security source has said. The source added that the policeman was immediately transferred to the King Hussein Medical Center, where he received treatment for the cutaneous wound on his hand. After arresting the offender, he was found to have 60 previous convictions, according to the security source. Several other protesters were arrested on the same night after finding daggers and knives within their possession. Wednesday's protests marked the seventh consecutive day of protesting against the country’s current economic status. The demands for economic reform persisted even after former Education Minister, Omar Razzaz, was tasked to form a new Cabinet this week. Thousands of protesters flocked to the sit-in at the Fourth Circle carrying banners, flags and placards. In addition to demanding the reinstatement of the bread subsidy and the removal of taxes from essential goods, protesters waved signs urging the government to release individuals detained for protesting at the roundabout.